People keep asking me when they see me smoking (vaping) my e-cigarettes “Do those contain nicotine? 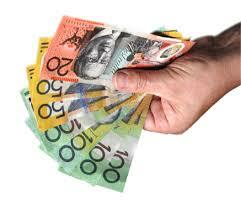 I thought you can’t get them here in Australia?”. Well, my answer is “Sure they contain nicotine..”. That’s what you want right if you are a smoker and want to try electronic cigarettes? Why else would I be using it…? There is some confusion about the rules, so here is a summary for you taken from the www.tga.gov.au Government website to get clear that you CAN get e-cigs with nicotine here in Australia – delivered. 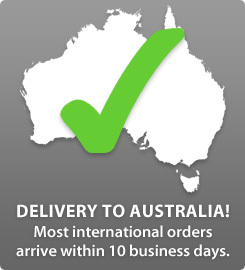 – You can get e cigarettes in Australia if you order them online from an international supplier (ie the USA – that’s where the quality is). – You can get them if they are NOT for resale, but just for yourself. – You can get them as long as you get “less than 3 months supply”. How much is three months supply? The rules say you cannot import them for RESALE in Australia. That’s why you can’t buy them with nicotine in them INSIDE Australia from an Australian supplier. They need a special license – but they cannot get one. So you can if you wish, buy OUTSIDE Australia and have them delivered, not for resale to anyone else, less than three months supply, and if you want to save on customs duties, get less than a $1,000 worth. 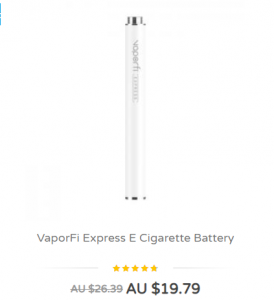 Buy enough and you can even get free shipping…:) I give a fuller explanation here on how to legally get e cigarettes delivered to you in Australia. Now, the interesting stuff: my overview of what e cigarettes are, what I think are the best, and a review and comparison of the most popular brands. 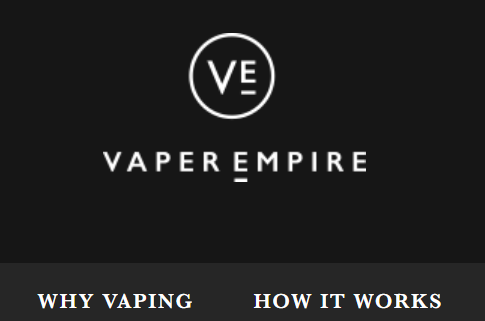 I realise, at the outset, getting started with e cigarettes may be a little bit confusing, so I made this website as a quick start comparison guide to clear up some basic points about smokeless electronic cigarettes in Australia, and around the world. This is top pick from the rest of the brands out there in my opinion (and I review them all here at my site). Why, because of the quality of the vape, which gives you a thick rich inhale, and this is what we want as an (ex?) smoker. Plus, the flavor is really close to ‘the real thing” i.e. a tobacco cigarette. But it doesn’t LOOK like a cigarette. If you want to understand more about the different types of ecigs and review the brands – read on. So here is the run down of what you need when you want to start. What are the basics you need to know for getting started? You will require a battery (below left) which looks like the stem of a cigarette and the cartridge refills with pre-filled e-liquid flavour in them (below right) which look like the filter. These two parts screw together to look like a normal cigarette, with the battery looking like the stem of a cigarette and the cartridge with the e-liquid looking like the filter. Note that the cartridge can be disposable or refillable – up to you. Of course there are more options and add ons for e cigs, but like most people when starting out you will want the closest resemblance to a real cigarette, and I’ve found that e cigs with cartridges like the ones above (also known as cartomizers) are the nearest to the real cigarette experince you can get. You can try out the kits like the ones above in to see if you enjoy it at http://v2cigs.com , and after that you may think about looking at the more advanced options like refilling your own cartridges with the liquid, or also e cigarette mods and more. First, look for a starter kit, and I recommend you get at least 2 batteries so you are never without a charged battery. Also, if you enjoy you vape but the battery dies, then you are stuck til you can replace it! 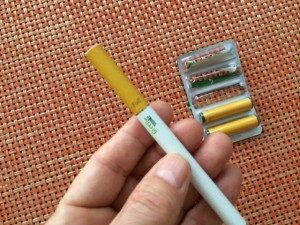 So, How Does An E Cigarette Actually Work? With a basic model, inside the cartridge there is a heating filament which heats up the nicotine vapor inside the cartridge. You activate this just by inhaling (with some models that have automatic batteries), or with models that have manual batteries, when inhaling you need to hold down a button. That’s it. As you inhale you have the vapour enter your mouth and throat, simulating the real experience os a cigarette. Which Brands or Flavours Are Nearest To The Actual Tobacco Cigarette Experience On The Market? Just like with the regulor tobacco products, everybody has their own particular favourite taste. So you will probably want to try out more than one brand to see which you like best. As a bonus! If you buy your e cigs from any one of the companies listed above coming soon I will have some coupon codes here that will save you real money when you make your online purchase. So when you find the one you want come back and check them out. So I hope that I have clarified some of the most basic questions you may have about electronic cigarettes. Now more in depth review etc.. 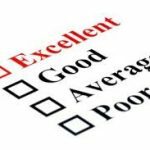 Welcome to our review part of the website. I’m Kacey (the guy in the picture), and I smoked for many years, then I gave up for 17 years, and about three years started again. Now that sounds nuts right? Well it certainly feels a little crazy. Anyway, I guess that couuld be considered nuts but I am very addictive with almost everything I do. And maybe you will be able relate to that. Update for January 2018: My friend has now been converted to using V2 E Liquid, after buying her own favourite brand for more than a year, she now loves the V2 E Juice. Have a look at my reviews of the best electronic cigarette brands for 2014 here! Anyway, I hope the site will help you discover what you want. And please leave a comment with any useful feedback you have, or any e cig tips, recommendations for any e cig brands you would like me to review, or even a cool quote to add to my daily quote page. In fact anything you want to see me cover at the site, and I will consider it.